Researchers found patients 13 to 25 years old who had been newly prescribed amphetamines, such as Adderall and Vyvanse, were more likely to develop psychosis than those who had received a prescription for methylphenidates, such as Ritalin and Concerta, according to the study published in the New England Journal of Medicine. The key take-home message is that these cases involved new prescriptions, or patients who had just started treatment, said NBC medical contributor Dr. Natalie Azar Thursday. "For people who are taking these drugs and have been established on them and are doing well on them, there's absolutely no reason to discontinue them," Azar said. "We can't understate how beneficial these drugs are in treating the symptoms of ADHD." While psychosis with either class of medication is still relatively rare — occurring at a rate of one in 660 patients — it is important for people taking these medications to know about this very serious side effect. The study findings are an opportunity for doctors and families to talk about the small risk and be vigilant for any symptoms when a patient starts the treatment, Azar said. "You have to think about it from the public health scale," said the study's lead author, Dr. Lauren Moran, an assistant professor at Harvard Medical School and a psychiatrist at McLean Hospital. "If it's a fraction of a per cent of millions of people, then that means there could be thousands of additional cases of psychosis across the United States. In my mind, that's a serious problem." Amphetamine prescriptions to treat ADHD have been rising rapidly, increasing cause for concern. "At the beginning of our study, in 2005, a patient had about a 50-50 chance of getting Adderall or Ritalin. 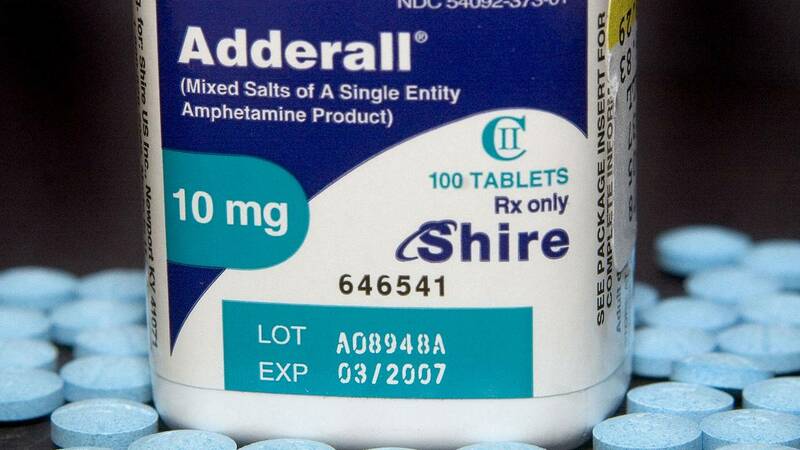 There has been a huge increase in Adderall prescriptions over the course of the study to almost four times as many prescriptions for Adderall," Moran said. As the number of students with psychosis grew, Moran found was that a common factor among the cases seemed to be amphetamine prescriptions for ADHD, she said. Moran and her colleagues turned to two large commercial insurance claims databases that included more than 5 million patients with a stimulant prescription. The researchers focused on patients aged 13 to 25 years old who started taking either amphetamines or methylphenidates between January 1, 2004, and September 30, 2015. Among the 221,846 patients included in the study, 110,923 were taking methylphenidate and 110,923 were taking amphetamines. The Food and Drug Administration has mandated since 2007 that ADHD medication labels include warnings about potential psychiatric and heart issues. In Moran's experience, ADHD patients hospitalized for psychosis recovered in two weeks on average, but some took as long as two months. Moran isn't suggesting that ADHD medications are too dangerous to be prescribed but wants to caution patients about its use. "We're trying to raise awareness," she said. "Physicians need to be aware of this when prescribing and people who are getting these medications from friends in college need to know this is a risk." Other experts agreed there should be greater awareness. The new study emphasizes the need for physicians to be "extremely careful to diagnose ADHD appropriately and to provide appropriate treatment," said Dr. Antoine Douaihy, a professor of psychiatry and medicine at the University of Pittsburgh School of Medicine and senior academic director of Addiction Medicine Services at the University of Pittsburgh Medical Center. "And they need to monitor patients closely." While the study shows psychosis is a risk for both stimulants, it suggests amphetamines "may be more implicated than methylphenidates," said Dr. David Goodman, an assistant professor of psychiatry and behavioral sciences at the Johns Hopkins School of Medicine and director of the Adult Attention Deficit Disorder Center of Maryland. A limitation of the study is that the databases used by the researchers don't have detailed information on how patients were diagnosed, Goodman said. Goodman hopes the study and the coverage it gets will make doctors and patients treat these medications with care. But he hopes all the attention won't scare patients away from ADHD drugs. It's unclear exactly how many people are taking ADHD medications in the U.S., but the number of young people taking prescription medication for ADHD has soared in recent years, research has shown. "Left untreated, ADHD has so many negative consequences," Goodman said.